Although the story starts in the Britain of the 1950s, it leads into a post-war Africa, with independence arriving in most of Africa and illustrating the enormous difference in police work in the UK in those days, and the exciting life of a colonial police officer. 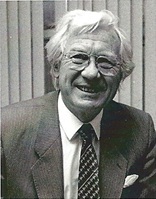 Colin Baker lived in Nyasaland-Malawi from 1954 to 1971, first as an Assistant District Commissioner and then District Commissioner before being appointed Under Secretary in the Office of the President and Cabinet and founder Principal of the Institute of Public Administration in the University of Malawi. He left Malawi with his family in 1971, and after three years as Director of the post graduate Institute of Administration in the University of Ife, Nigeria, he returned to Britain and joined the staff of the University of South Wales where he became founder Director of the Business School, Dean of Professional Studies and Assistant Director of the University. He retired from these posts in 1995 and was appointed Professor Emeritus, Honorary Fellow and Research Professor, devoting his time to researching aspects of Nyasaland-Malawi’s history. He held the degrees of Bachelor of Arts of the University of Birmingham, the degrees of Bachelor of Laws, Master of Philosophy and Doctor of Philosophy of the University of London, and the degree of Doctor of Letters of the University of Glamorgan. CLICK HERE to visit "The Library". Brian joined the Nyasaland Police in August 1954 and was stationed variously throughout his career including Chriradzulu when, on 19th October 1958, there occurred the first fatal aircrash in Nyasaland when a DC3 aircraft crashed into the the mountain there killing all six on board. He married into a local expatriate family and on leaving the Police settled on Zomda plateau. Having obtained a commercial pilot's licence he managed his own air charter business for some time. A man of many parts he was a keen equestrian and it is in this latter role that Horsetalk.co.nz put together an obituary to reflect this interest. Vanessa Farmery reminds us with this linked video that the first naval action of the First World War took place on Lake Nyasa. 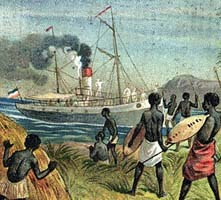 Left is the German steamship 'Hermann von Wissmann' which, in the 1890s, was engaged on the lake as an anti-slavery gunboat. Also on the lake was the British vessel 'SS Guendolen', launched in 1899, which plied the lake carrying goods and passengers on a 15-day round trip visiting the various ports. On 13th August 1914, some two weeks after the outbreak of war, the Guendolen commanded by Captain Edmund Rhoades, found the Wissmann on a slipway at Liuli (Tanzania now but then German East Africa) and attacked it. This took Captain Berndt of the Wissmann totally by surprise having been unaware that war had been declared. As normally friends and drinking partners it is said that Bernt jumped into a boat and approached the Gwendolen accusing Rhoades of being drunk - only to be taken prisoner! The action disabled the Wissmann briefly but in 1915 it was completely put out of action. David served in the Nyasaland Police for eight years, 1956 - 1964. Having interests in flying and sailing, he learned to fly with the RAF during his National Service and started sailing boats on Lake Nyasa. On return to UK he worked as a management consultant in southern England for some 20 years, moving to his homeland, Scotland, in 1980 where he became a tour guide. A talented artist and photographer he started writing in 2006, a Scottish tour guide initially, two others subsequently and his first novel in 2007 with a further twenty plus since as well as a collection of short stories in e-form only. 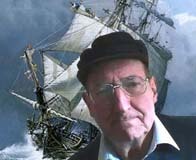 His novels cover a range of topics but in the main, probably, historical fiction of life at sea in the days of sail and since. For a list of his works plus a short CV: Click here. His latest book, "Saving the Day", published July 2018 is an Anton Chance sea thriller where our hero finds himself in troubled times following the Treaty of Utrecht. In command of HMS Ashanti his reponsibilities grow with other ships in support and action ashore. Facing insurmountable dangers he has to defend the vessels and their crews against overwhelming odds. He perseveres but only with short respite when after upgrading in rank to Captain he and his valiant companions confront challenges yet unseen. 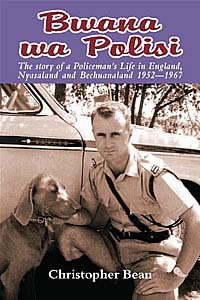 Click here for the David O'Neil Short Story ~ "The Saga of Arthur Watson"
Colin served in the Nyasaland Police for some three years, 1959 - 1962 and previously in Kenya, and in particular he was well versed in the para-military aspects of the Police Mobile Force and went on to similar employment elsewhere. Using his considerable experience gained over the years he has put together the specialist book 'On Revolutionary War' which was published in 1990. Very well regarded and included in the library bibliographies of both RMA Sandhurst and the US Army War College the book is of 180 pages plus illustrations and examines the theory and practice of both insurgency and counter insurgency and includes case studies from Congo, Kenya, Rhodesia, Angola and Kurdistan. As a Google E books download, it is given 5 out of 5 stars, based on over 2,600 votes and as described by long standing friend, Nypol Association Member Ken Wilkinson, "This is an excellent and very well written book!" To view on Amazon with prices: Click here. News, comments, contributions, letters, photographs, etc, relating to the Nyasaland Police, this website or anything otherwise relevant are welcome and can be submitted personally or by email, post or telephone.